Description: Sea-Arama Marineworld, a marine animal park in Galveston, Texas, opened in 1965 and was the first such park of its kind between the east and west coasts of the U.S. From the time it opened, to 1990 when it closed its doors, the park presented more than twenty-five different shows and exhibits. Visitors could enjoy viewing orcas, dolphins, sea lions, alligators, tigers, snakes, bears, sharks, and exotic birds, along with daring water skiing performances. 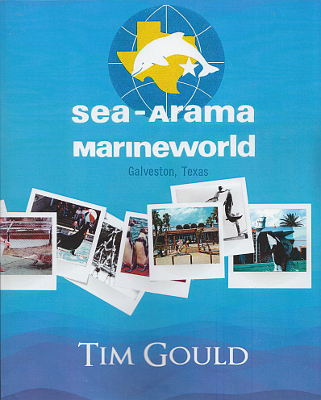 Relive the glory days of Sea-Arama Marineworld, with more than 350 pictures and year-by-year documentation of the park’s history. Soft cover, 360 pages, available in two editions, one with color photos, and the other with all black and white plates. Viewed: 2,032 times since December 1, 2016.